Our most important reference is the number of schools and universities that use AlumnForce on a daily basis to boost and manage their alumni communities! Let's talk about your alumni relations.Contact us! 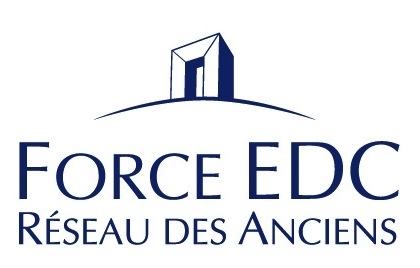 The Force EDC Alumni association, supported by its 12 000 Alumni, wanted to create an Alumni network in order to promote professional insertion and stimulate intergenerational dialogue on a single platform dedicated to its community. They chose AlumnForce to revitalize and manage their Alumni network online. In less than 5 months, the Force EDC network had a web and collaborative platform 2.0, which offers a profile to all its Alumni. All the Alumni can fill in their personal data, their professional ambitions but also a comprehensive CV, which enables them to put forward their major professional experiences. In order to help and highlight applicants actively looking for a position, the Alumni association requested a Career space to help companies and recruitment agencies to directly contact Alumni. The Career space administrators make documents available to the network: recruitment methods presentation, market trend analysis, cover letter examples, or even presentations of promising sectors. Recruiters can create a company account upon approval of the website administrators and they can publish as many job and internship offers as they wish. Each subscribed and approved company benefits from an access to the CV-bank and can search by criterion for the ideal applicant. A daily and automatic synchronization between the association and the school database was set up in order to update it with fresh datas from their alumni. AlumnForce demonstration Make your own opinion, you have everything to gain . © Copyright 2009-2019 AlumnForce Software. All rights reserved. Job openings, work with us! You seem to be hesitating. Do you need to learn more about AlumnForce and Alumni engagement before going further?